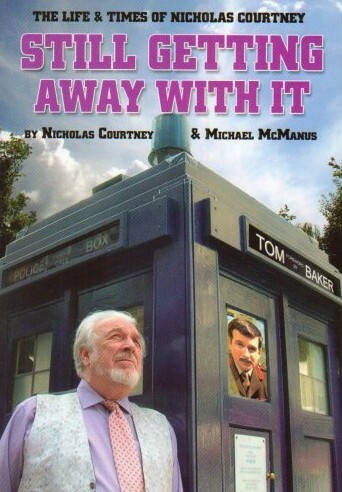 Note: Autobiography of Nicholas Courtney (The Brigadier), containing a foreword by Tom Baker. Completely different in content than his earlier autobiography Five Rounds Rapid — apparently this newer biography is a much more in-depth and frank account of Courtney's life. Nicholas Courtney has been in the acting profession since 1952, performing in every genre bar opera, though he has just got away with singing and dancing (after a fashion) in pantomimes and musicals. Yet Nick's background and antecedents might have taken his life in a very different direction. His father was a diplomat in various embassies during the 1920s, 30s and 40s, after surviving the trenches in the first world war. Nick was born in Egypt and began his education there, moving on to England and Kenya. Nick's most famous role was as Brigadier Alastair Gordon Lethbridge-Stewart in the long-running television show Doctor Who. As this book demonstrates, however, there has been far more to his life than that. As an actor, an activist in the actors' union Equity and a concerned citizen of the world, Nick Courtney has made his mark on the lives of many thousands — even millions — of people. In this book, for the first time, Nick tells all about his life, his career and his innermost feelings — including what he really thought about many of the roles he has taken and the people with whom he has worked in a career spanning over half a century. Nick Courtney is the only person to have acted with the first eight Doctors. This is his second book, but he hopes it will not be his last. Nick lives in London with his wife, Karen. Michael McManus is a writer. He served as principal researcher, editor and drafter on the award-winning autobiography of the late Sir Edward Heath, The Course of My Life (Hodder & Stoughton, 1998). Michael's first book in his own right, Jo Grimond — Towards the Sound of Gunfire (Birlinn, 2001), received glowing reviews in the Scottish, UK and international media. He has been a regular contributor to a number of newspapers and journals, notably the Sunday Post, Gramophone and Prospect, and he is presently working for a national law firm, offering policy and political advice to the partners. Tom Baker played the role of Doctor Who from 1974-1981 and now serves as the voice of Little Britain. He lives in France with his wife, Sue.